Home electrical fires are widespread across the United States. Faulty electrical systems cause many fires. Even more fires result from inappropriate wiring installations, overloaded circuits, and extension cords. Residential electrical fires result in more than double the property damage and 70% higher death rates than nonelectrical fires. Every year, more than a half million winter residential fires cause $3 billion in property loss, 1,900 deaths and nearly 8,000 injuries. Electrical malfunction is the leading cause of non-confined winter residential fires. An alarming 37% of all home fires occur during the winter months, more than any other time of year. Nearly 40% of residential fire-related injuries occur during January, February and March. Smoke alarms in over 26% of non-confined residential fires failed to operate properly or were not present in the home. 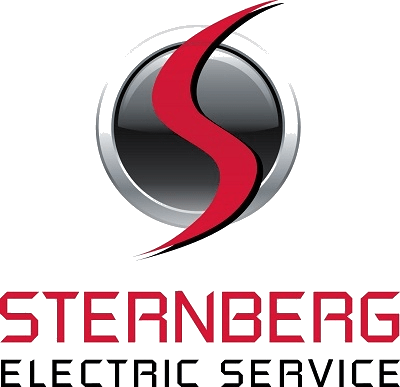 There are over three times more residential electrical fires than non-residential electrical fires … so this problem is particularly important for each of us as homeowners. Every year, we put more and more demand on our home’s electrical system. We replace aging appliances with newer, advanced technology. We introduce new appliances, devices, and gadgets into our homes. Over time, we increase our use of electrical energy in many other ways. Many homeowners add these stresses while remaining unaware of the electrical hazards in their homes. From overheating wiring in the walls to high-wattage light bulbs that exceed their fixture ratings to the improper and dangerous use of extension cords to overloaded circuits. We don’t realize we’re in danger – until a fire starts. Most home electrical fires are preventable. Like anything else, wiring and electrical components wear out. Though it’s easy to take electricity for granted as we depend on it in our daily lives, it is powerful and dangerous and must be used safely. It’s important to learn about your home electrical system in order to maintain it as safely as possible. Tour your home looking for and correcting potential hazards. Arc Fault Circuit Interrupters (AFCIs) – Protects you and your home from a fire caused by electrical arcs. Smoke Detectors – Warns you of fire. Ionization detectors are more sensitive to flaming fires. Photoelectric detectors are more sensitive to smoldering fires. It is recommended that both types be installed in specific locations inside your home. Carbon Monoxide Detectors – Warns you when CO2 levels become dangerously high. This deadly, colorless, odorless gas kills hundreds of unsuspecting homeowners every year. Ground Fault Interrupters (GFIs) – Protects you from electrical shock and electrocution. They’re not just for bathrooms anymore. Whole House Surge Protection – A small spike or surge in electrical current can result in big consequences. Most people think of lightning, and while it is the most dangerous, it is not the most common. Appliances that cycle on and off throughout the day, every day, are your most frequent culprits. 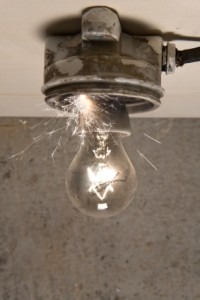 It’s worth repeating that most home electrical fires can be prevented. Learn about potential electrical hazards and rectifying any problems. Prevent disaster from happening to you.